Specimen Print and Play: player images! Lonnie strikes again! 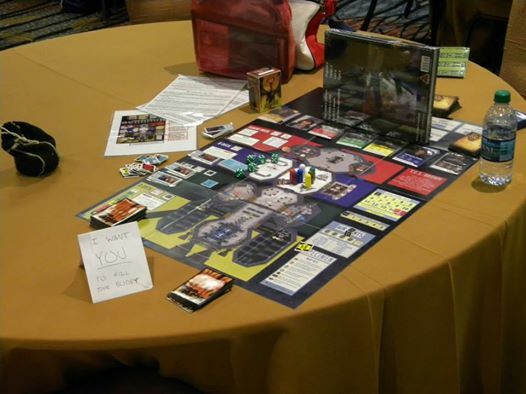 Our biggest fan took his Print and Play Specimen game to the GenCon gaming fair this past weekend and let some people play it. His game screen got mangled in transit, hence the big box. This entry was posted in Specimen and tagged board game, Game convention, Gen Con, science fiction, space, Specimen, strategy. Bookmark the permalink.